Islanders living in remote parts of Mull fear they are soon to lose their community nurse to the mainland. 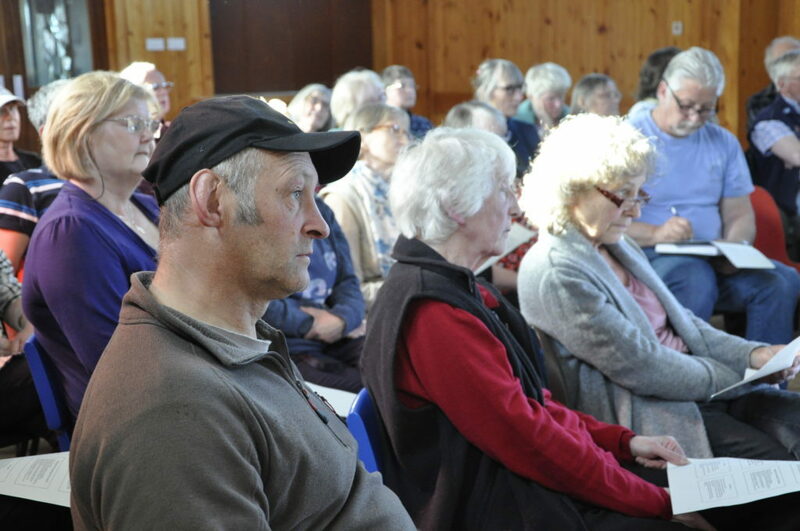 The concerns were voiced by campaigners in Bunessan and on Iona who mustered at two public meetings this week to ramp up their demands for for continuous GP care rather having to rely on locums costing the NHS a fortune. After resident GP Frank Teunisse retired earlier this year, the Bunessan surgery has been manned by a number of different locums and now there is real concern among the community that health bosses plan to strip them of the nurse who looks after their needs three days a week. When The Oban Times approached the Health and Social Care Partnership, a spokesman admitted relying on locums was not ‘ideal’, blaming ‘significant difficulties’ in recruiting but saying it will implement a marketing strategy to fill the three GP posts in January. However, Mr Knight has lodged an official complaint with NHS Highland after it failed to respond to a letter he sent. He wrote to express outrage at the ‘gross waste’ of NHS resources on funding locums when he says they should have already been directly advertising for and putting resident doctors in place without delay at the Bunessan, Tobermory and Salen/Craignure surgeries. Mr Knight said in his letter he had also told health chiefs the community knew of a doctor interested in the Bunessan job but because the NHS response was so late, that doctor can no longer be located. ‘They took ages to advertise for a lead GP. That’s closed now but we’ve heard nothing. We don’t know if they got applicants or if there have been any interviews. What we do know is that we want to keep our nurse and want a resident GP back in Bunessan,’ he said. The HSCP was staying tight-lipped about the specific future of Bunessan’s nurse but said: ‘We have a duty to provide primary care services for the local communities on Mull and Iona and at the moment we are having to rely on locums, which we acknowledge is not ideal.